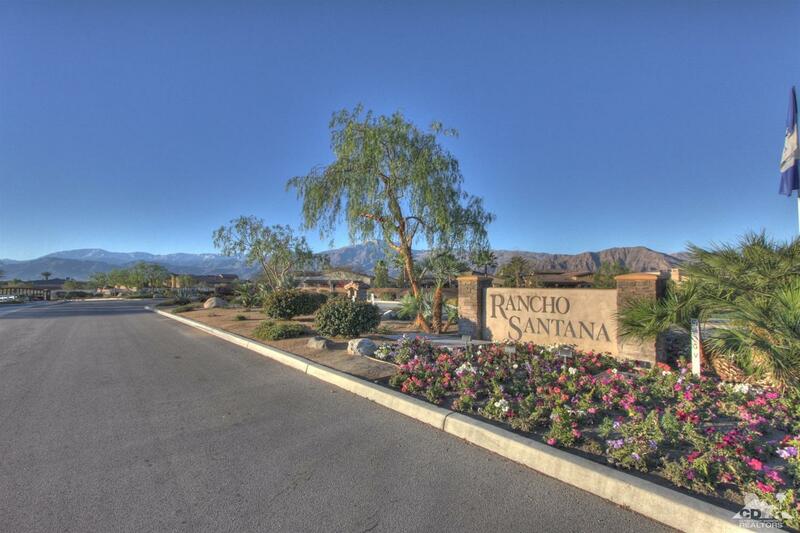 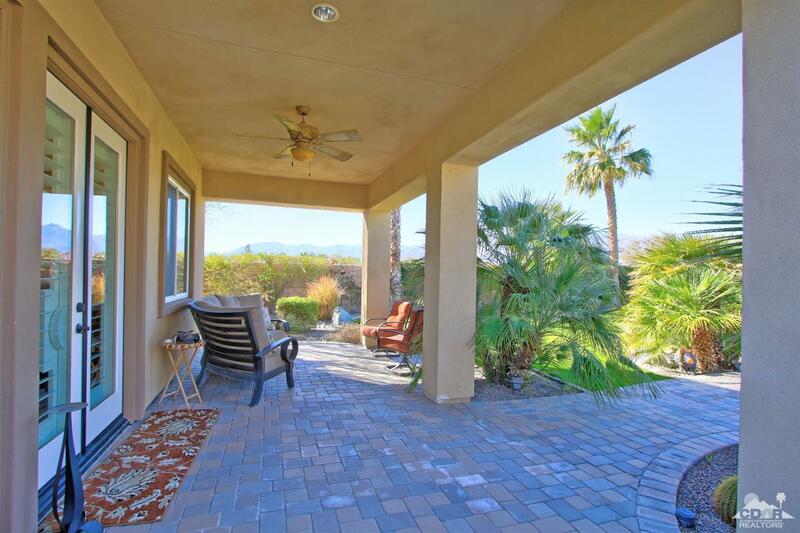 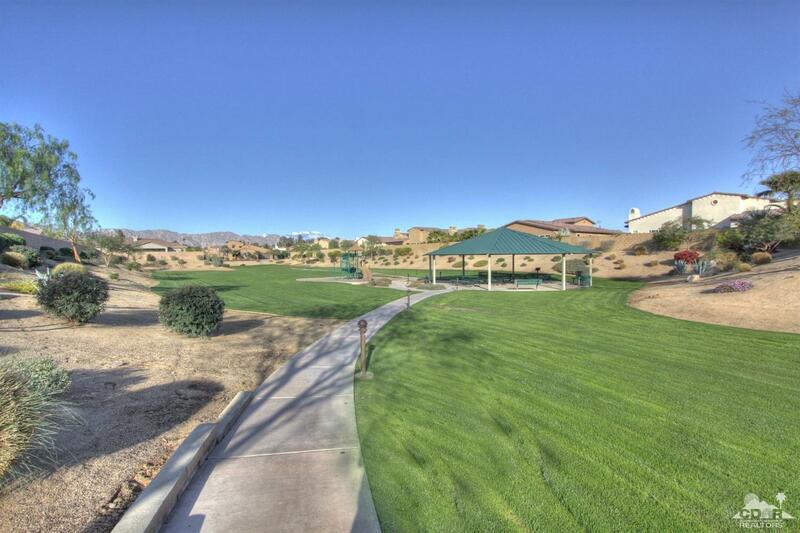 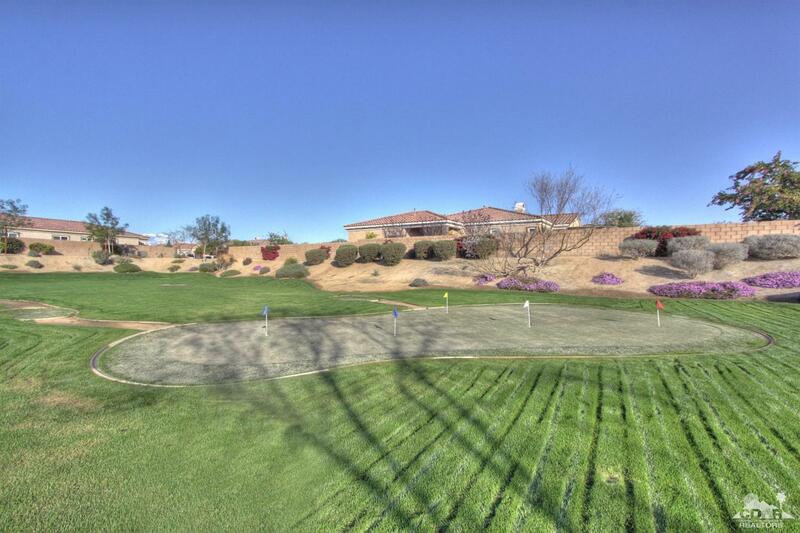 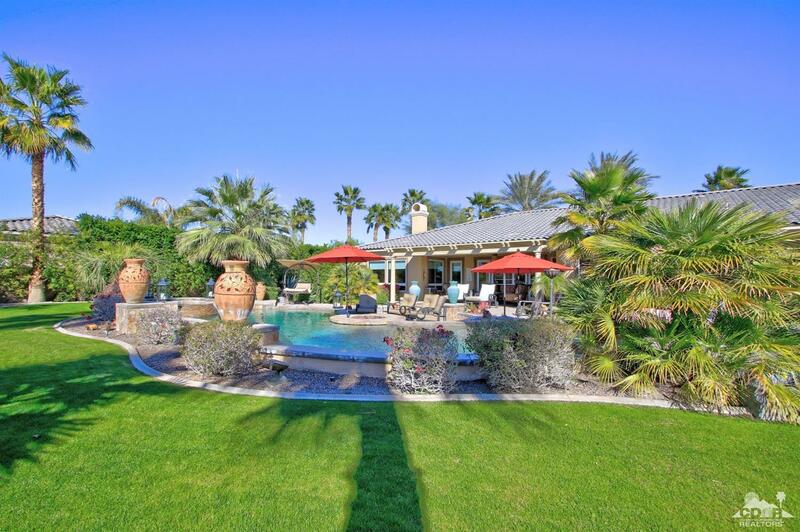 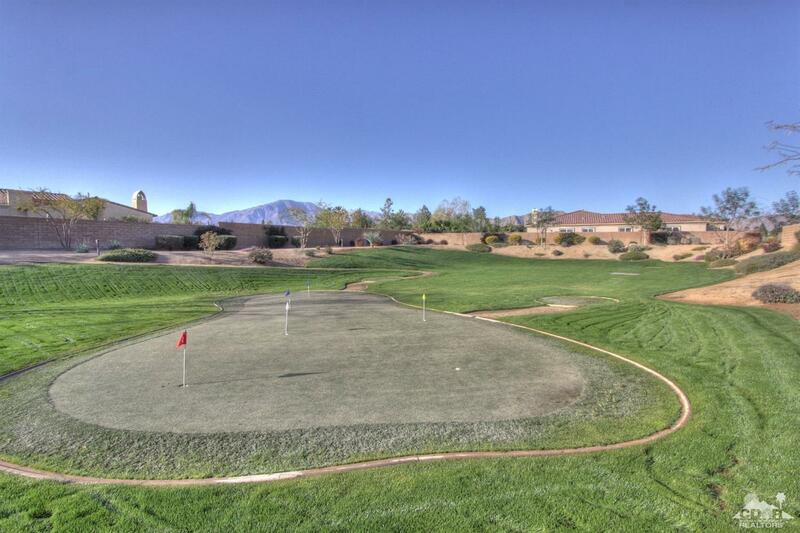 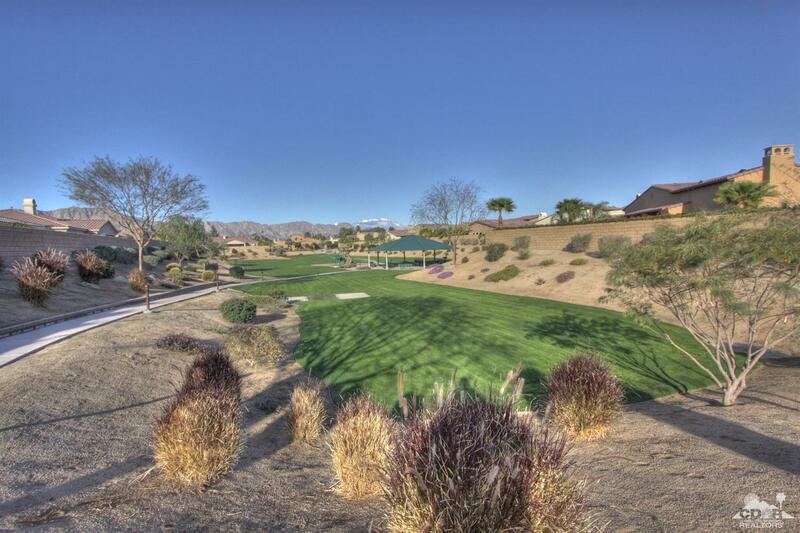 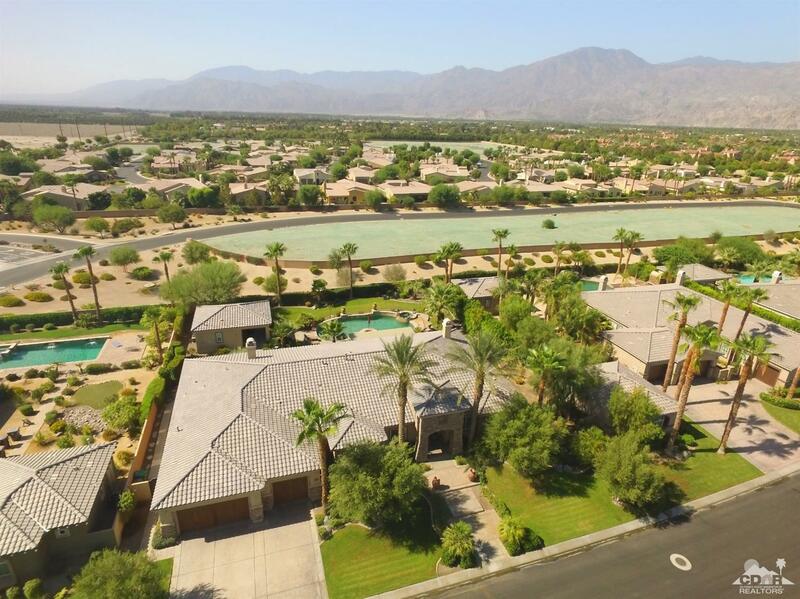 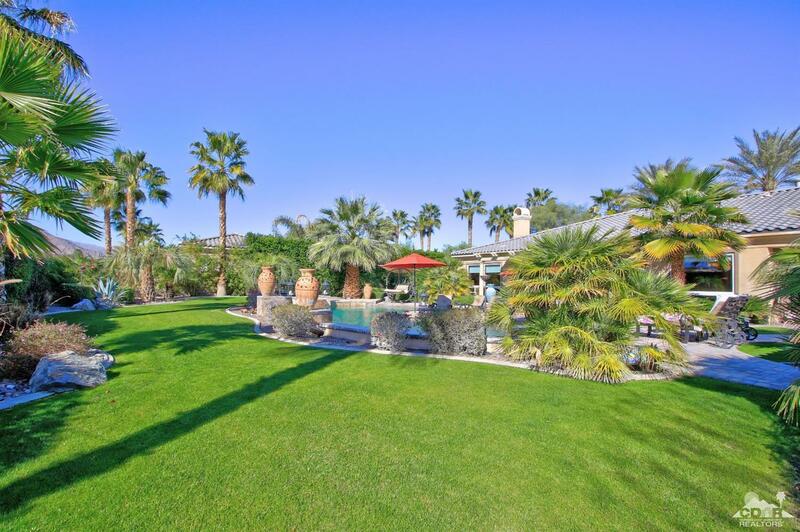 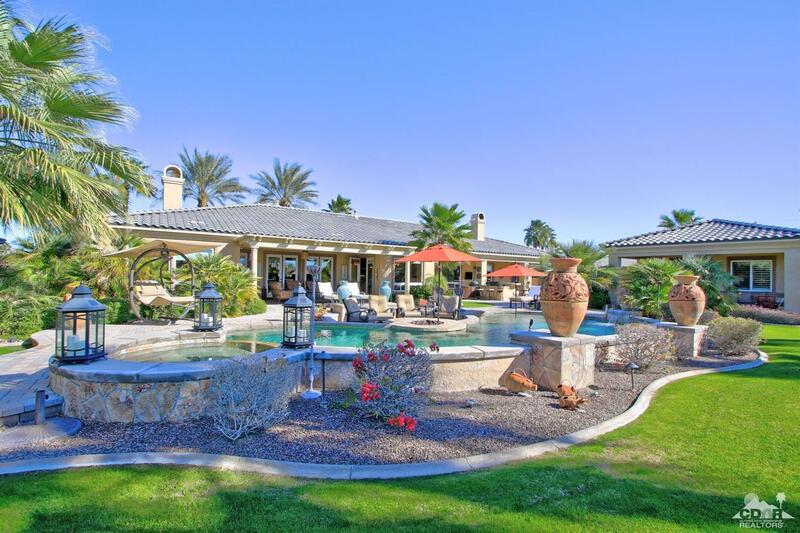 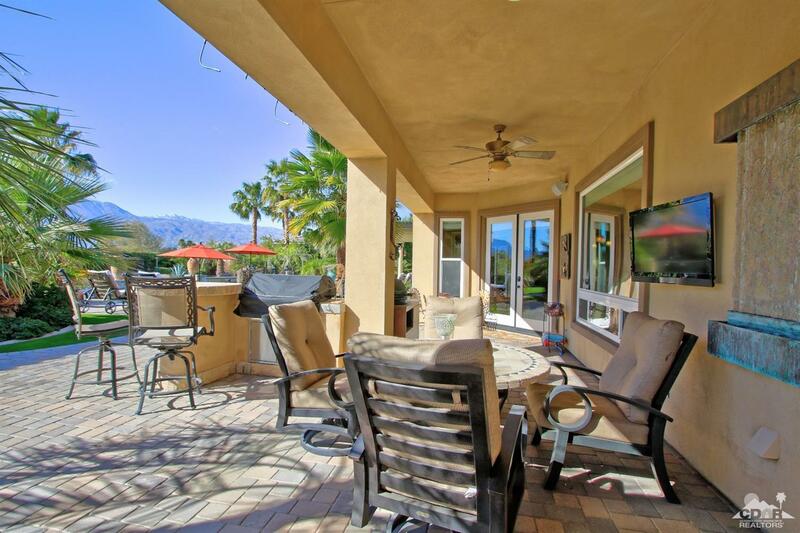 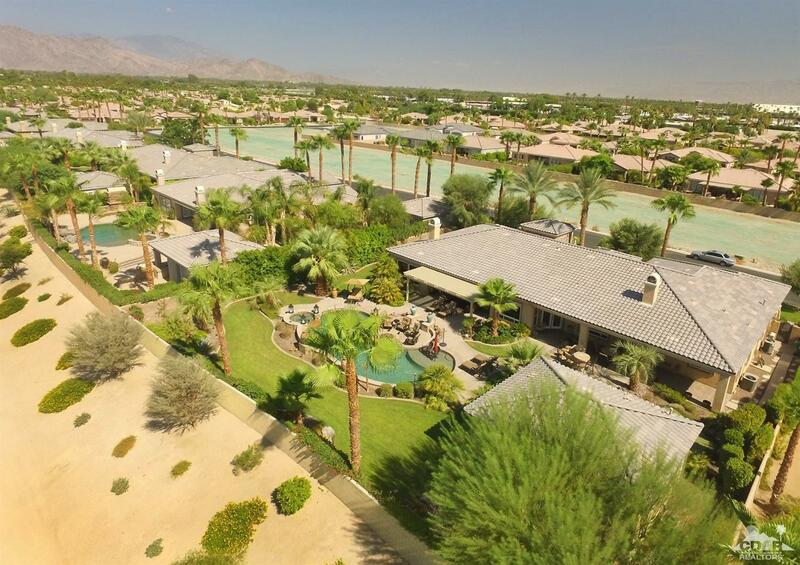 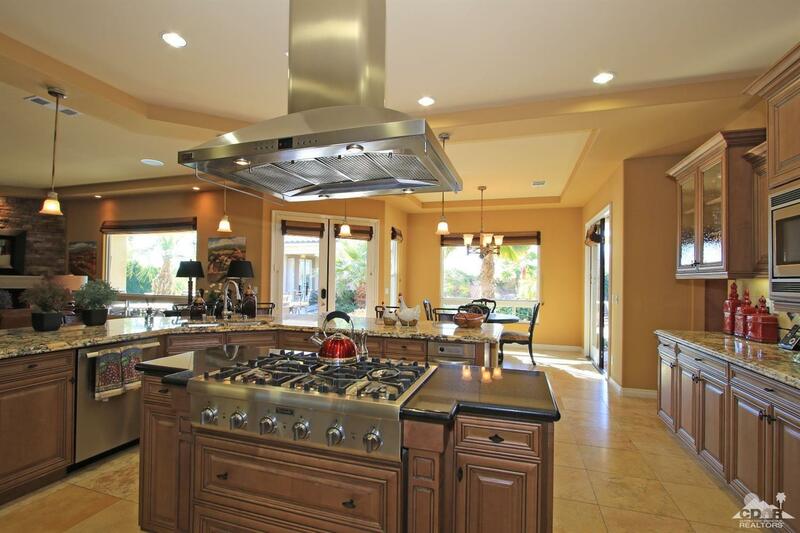 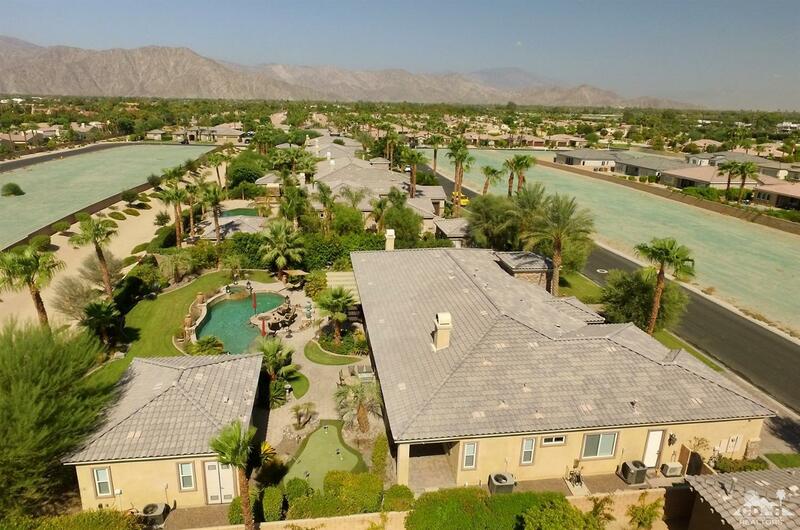 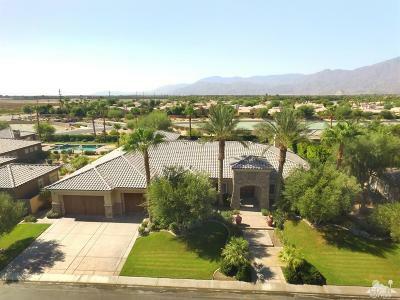 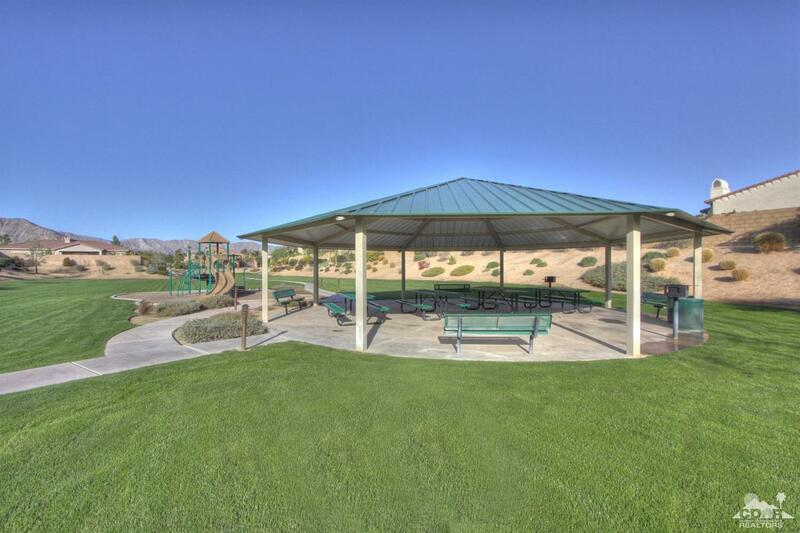 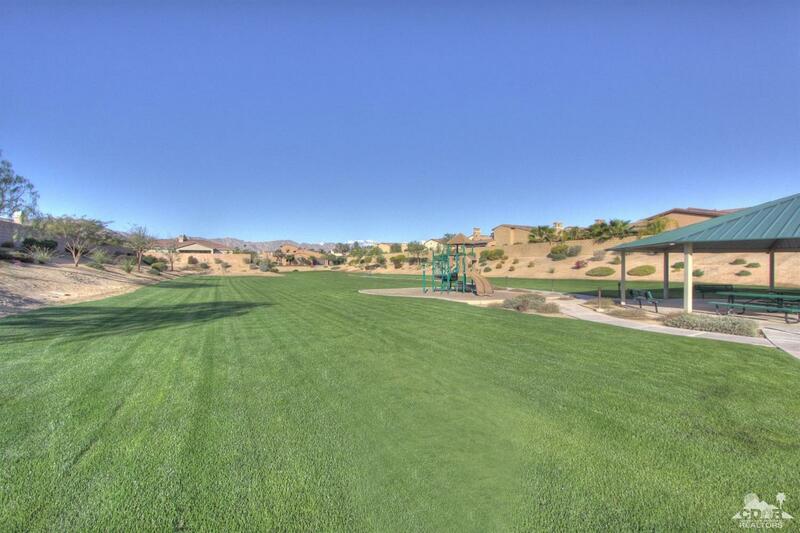 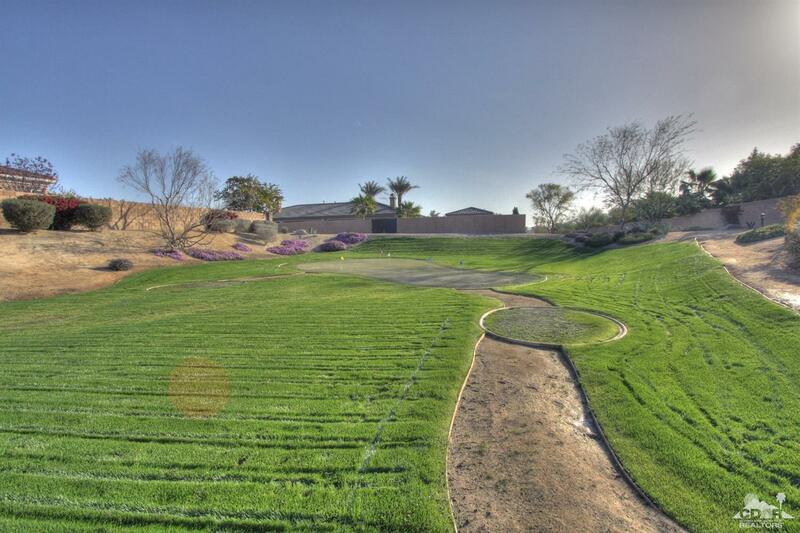 Fabulous estate home with phenomenal views of the Santa Rosa Mountains on almost a half an acre lot in the gated community of Rancho Santana. 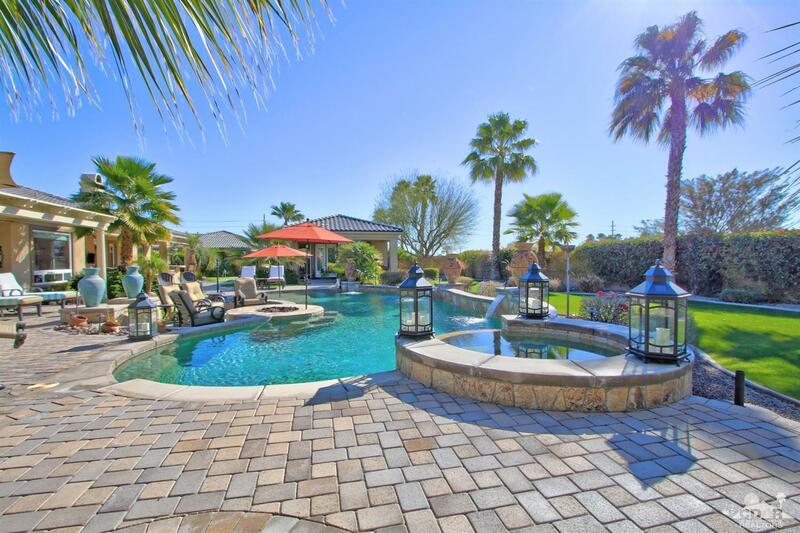 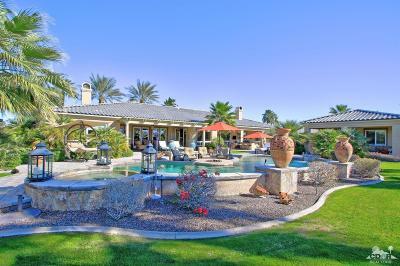 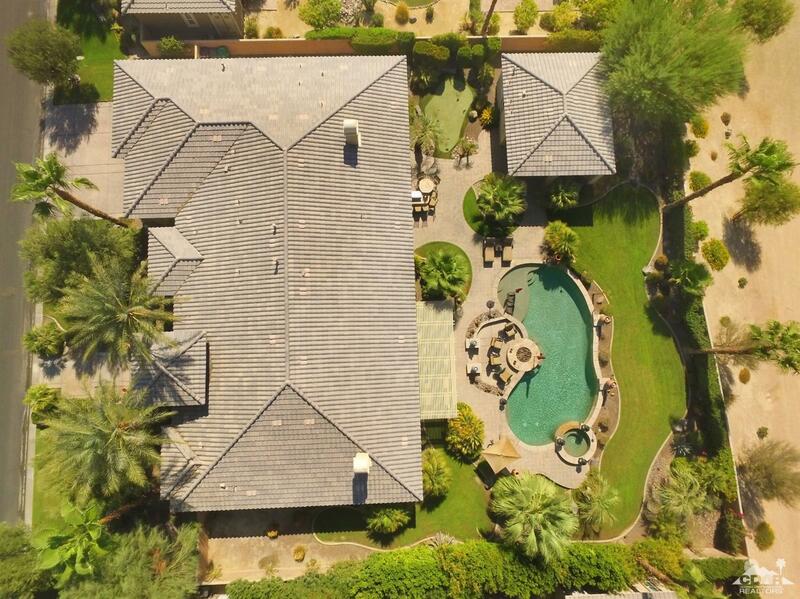 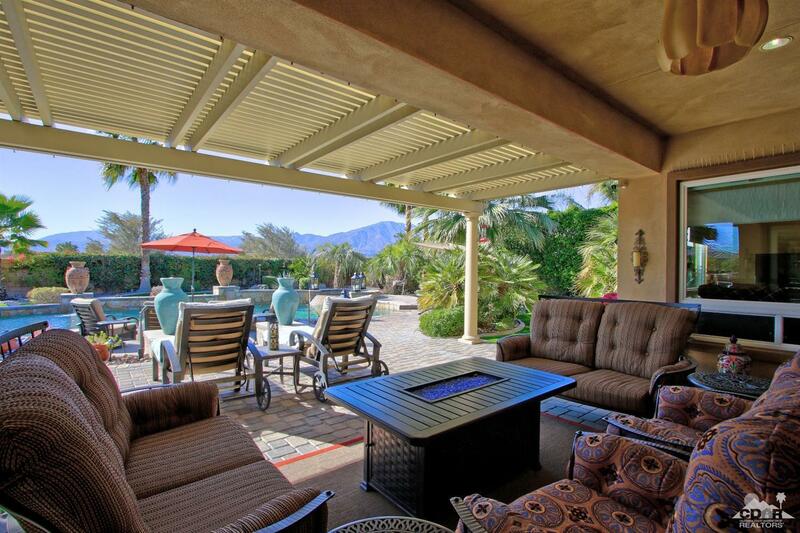 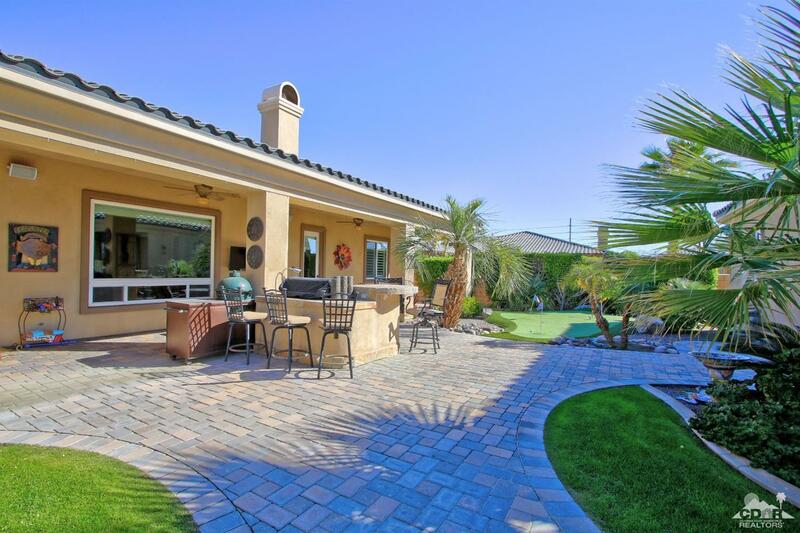 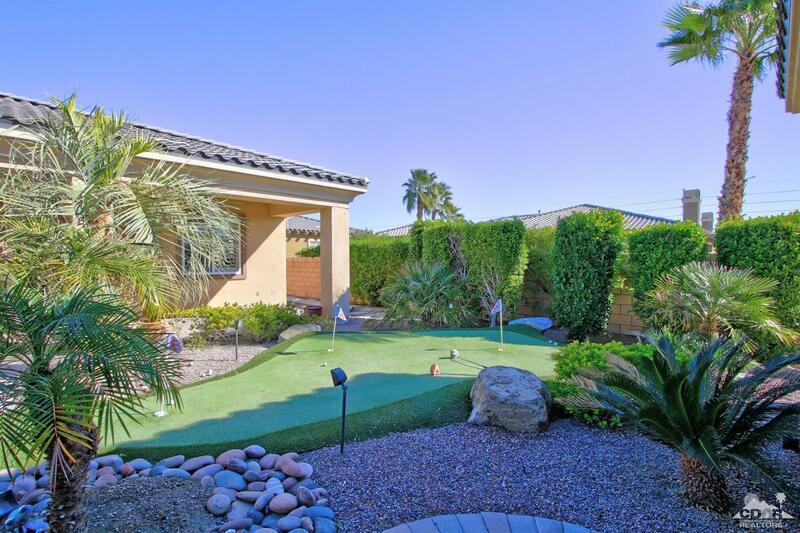 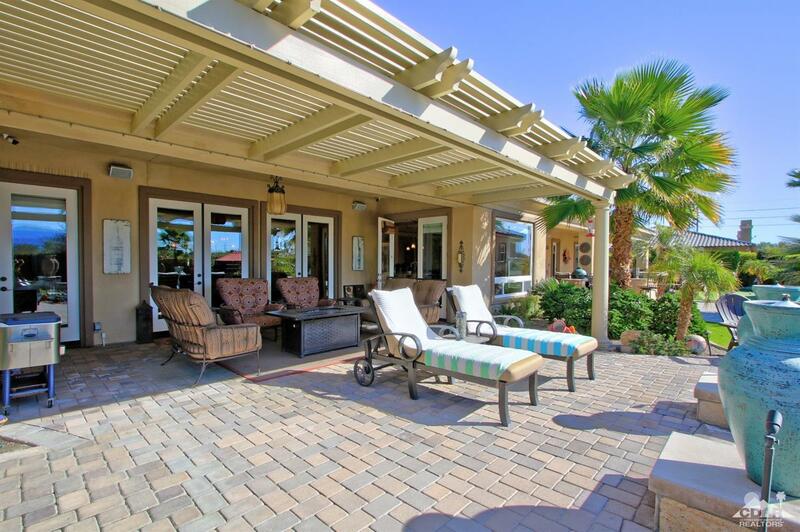 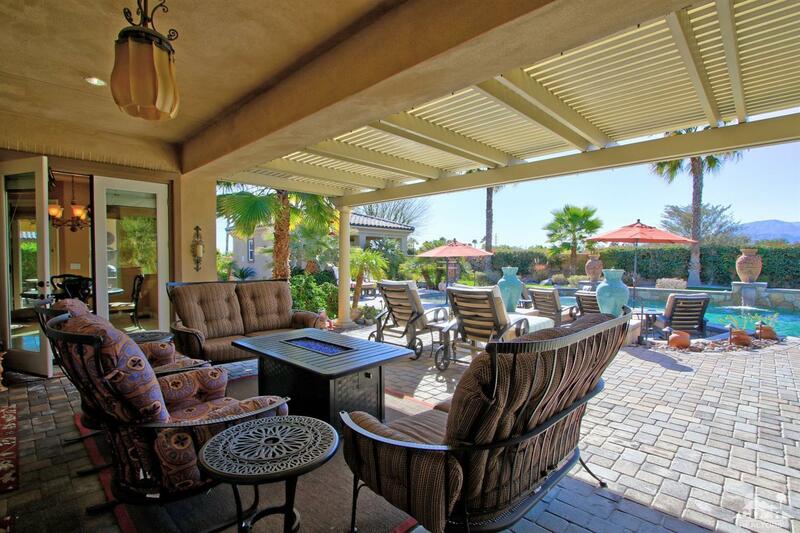 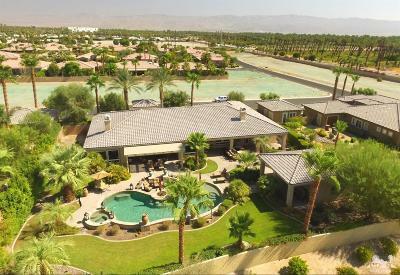 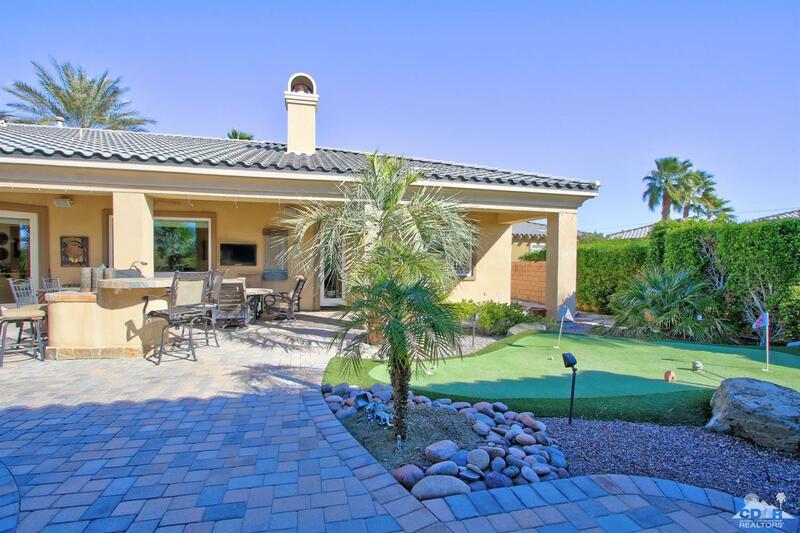 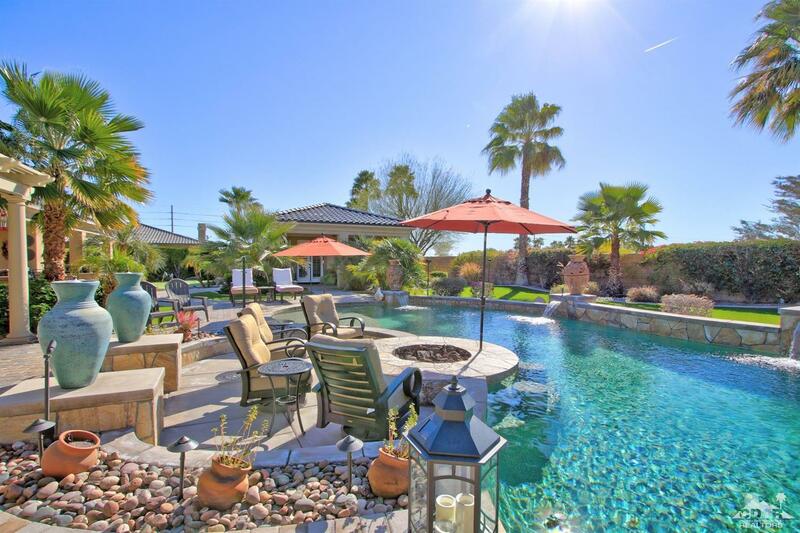 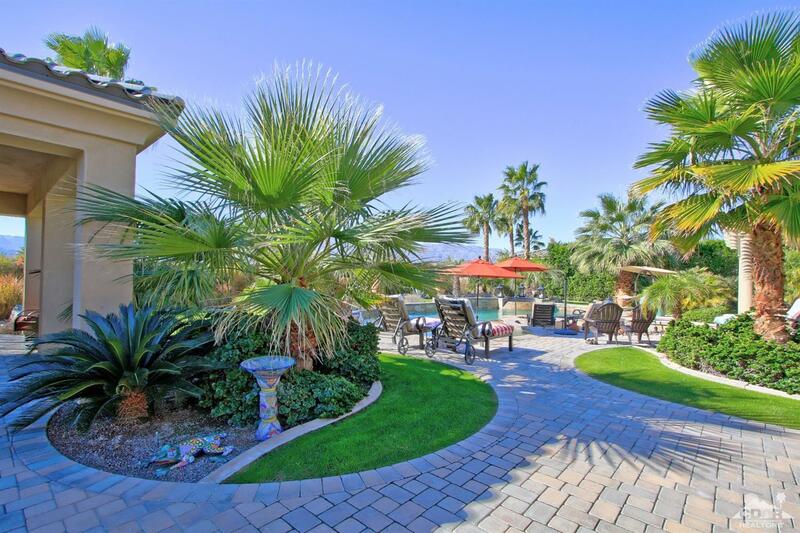 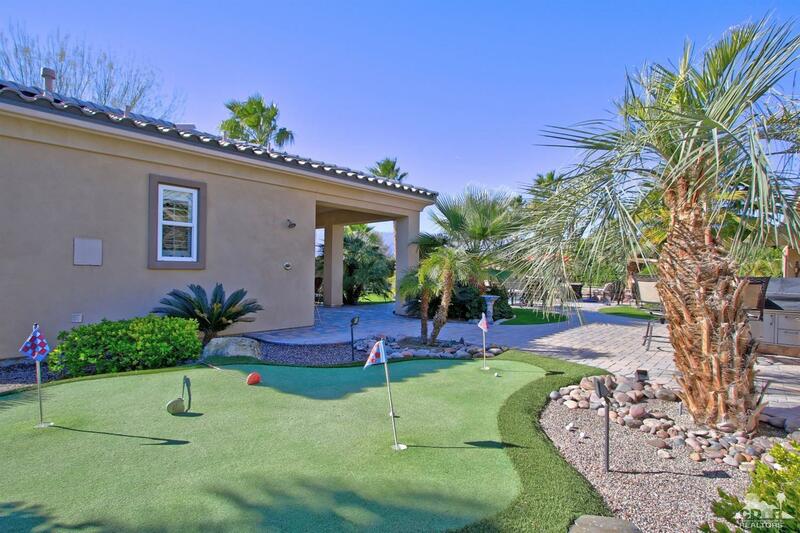 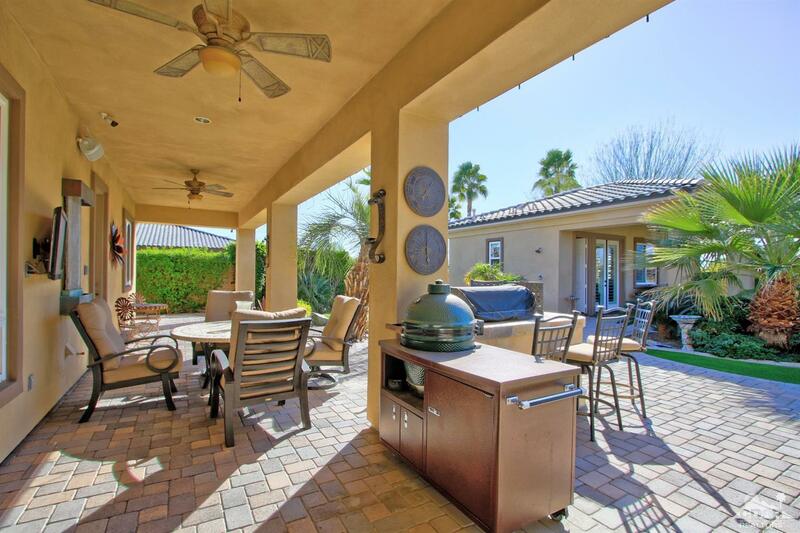 The extremely private resort like south facing backyard is truly an oasis with upgraded landscaping, beautiful pebble tec pool/spa, sunken gas fire pit, swim-up bar, misting system, putting green, built-in barbecue and extensive landscape lighting. 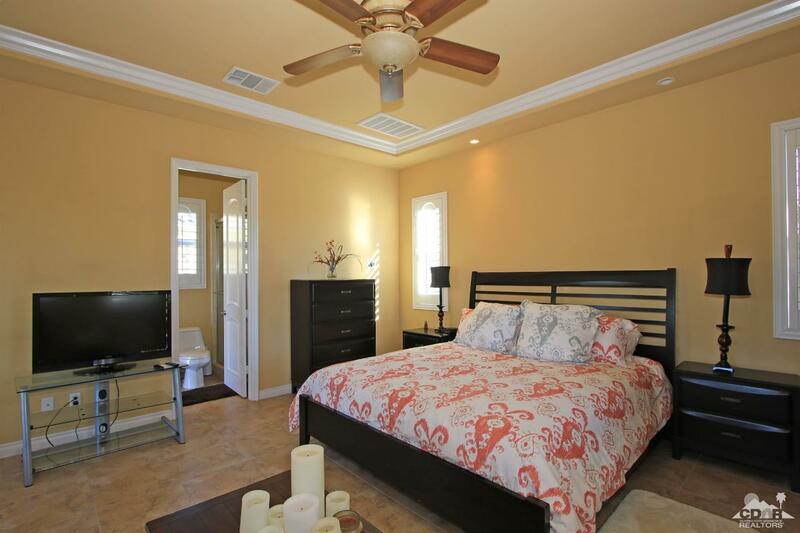 Well appointed main house with 4 bedrooms and 4-1/2 bathrooms plus office along with a detached Cabana with full bath. 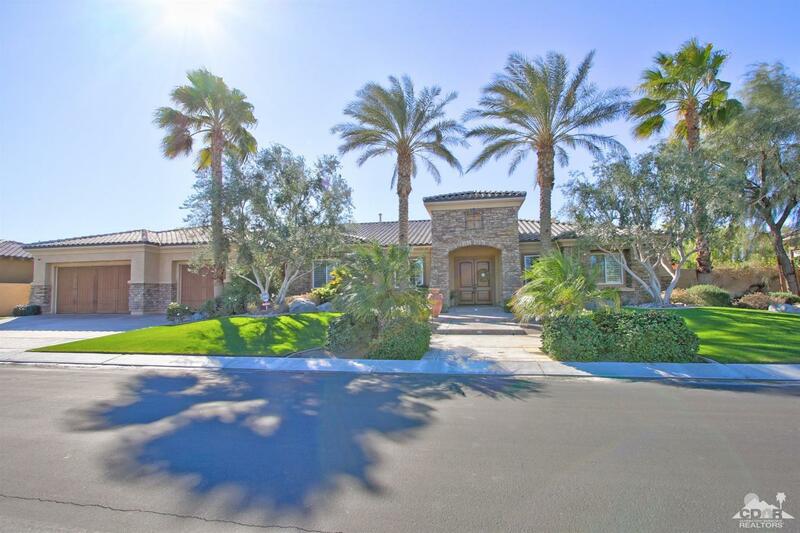 Home features include gourmet kitchen with custom cabinetry, stainless steel Thermador appliances, upgraded granite & travertine flooring, wet bar & built-ins. 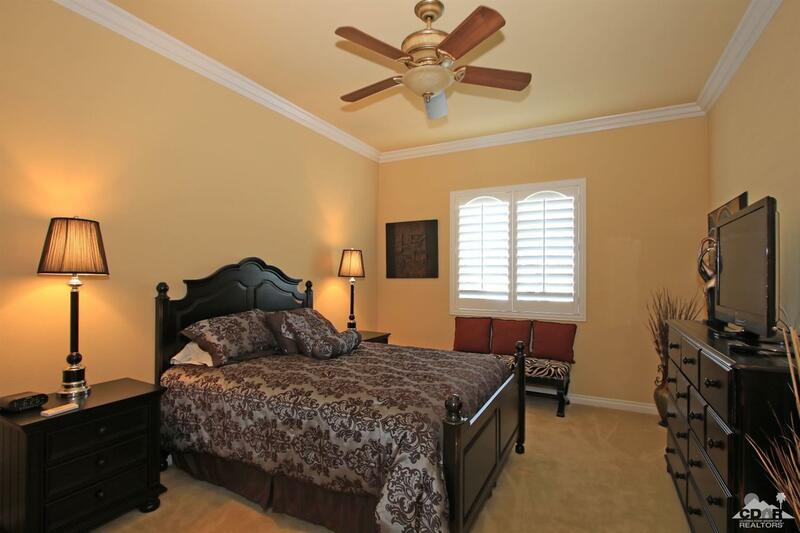 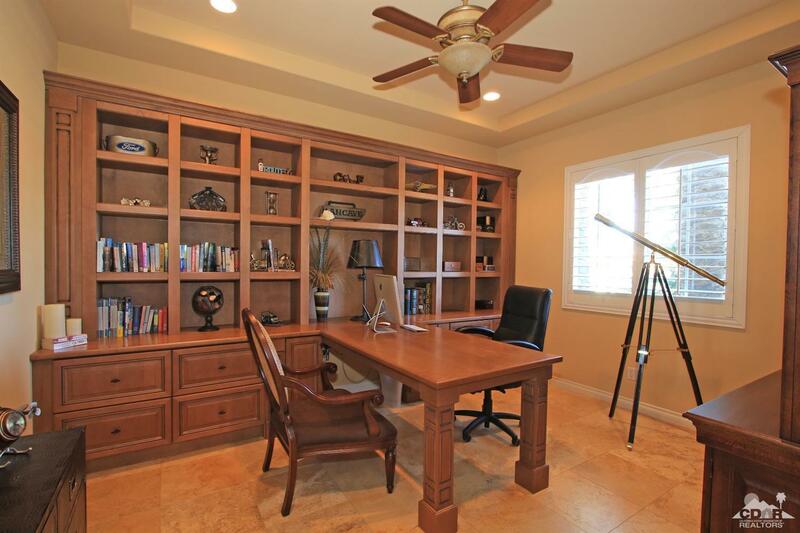 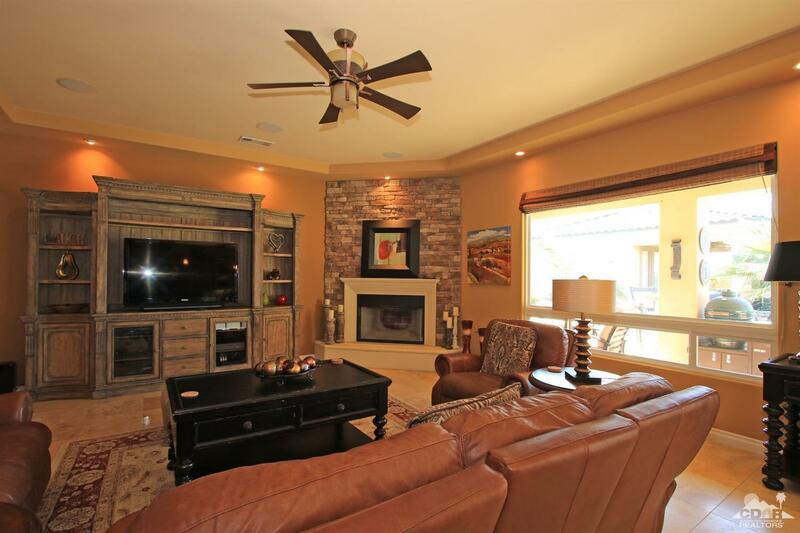 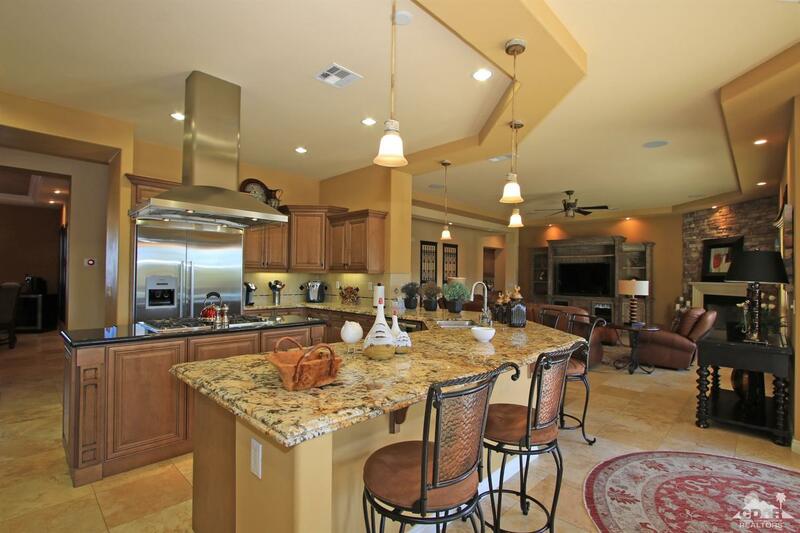 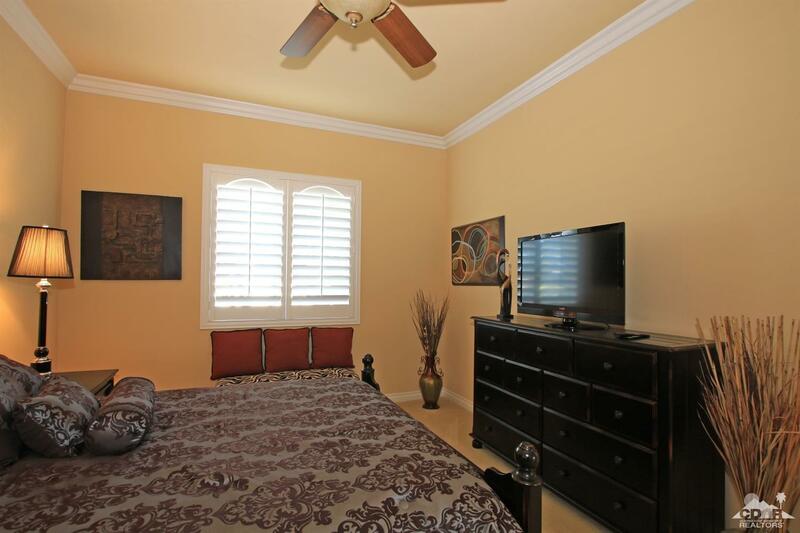 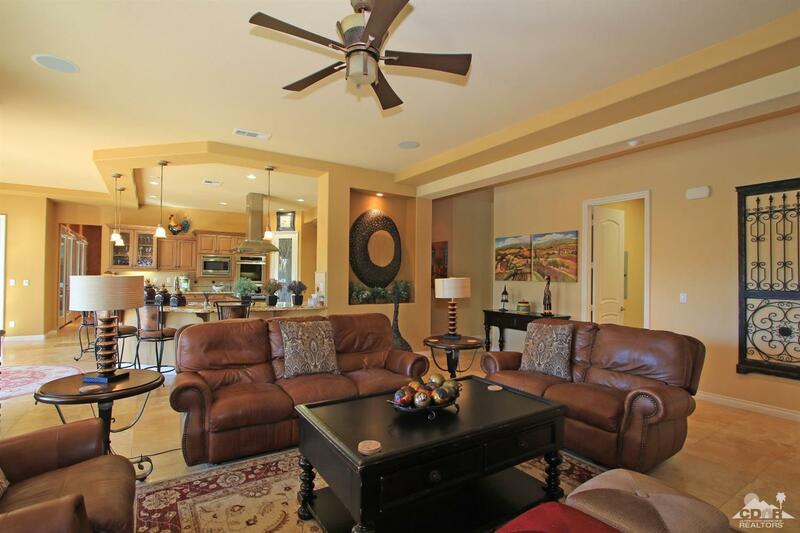 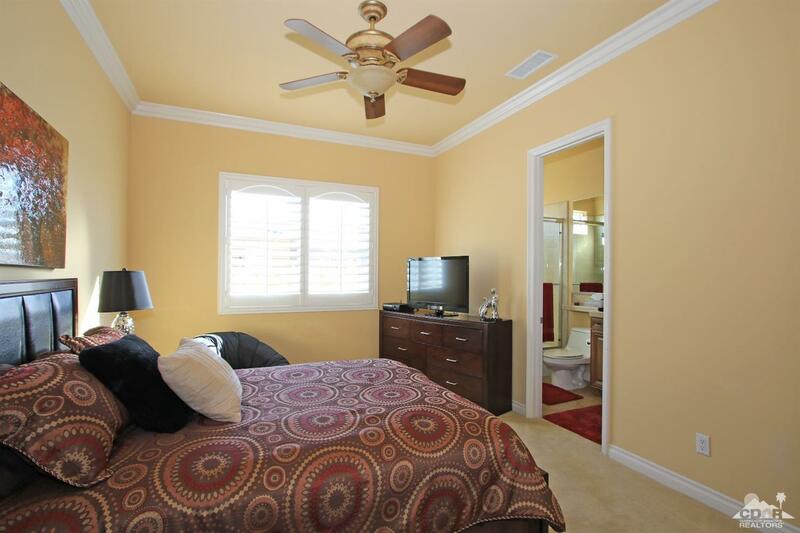 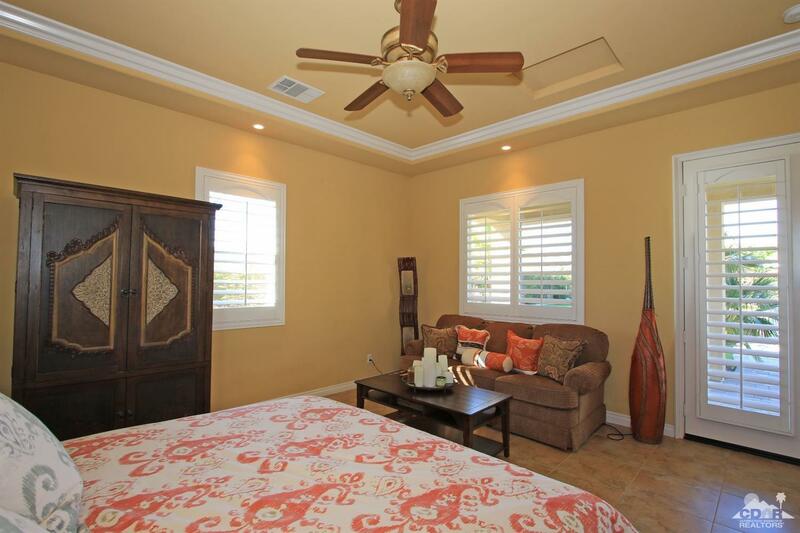 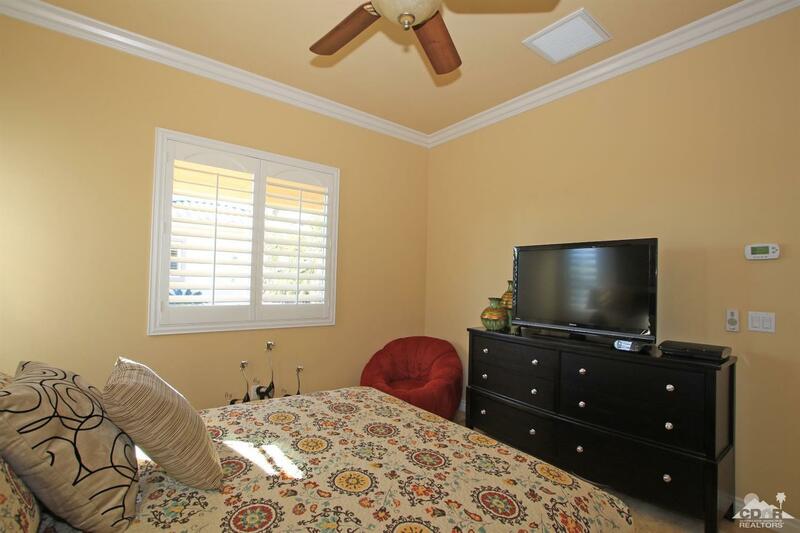 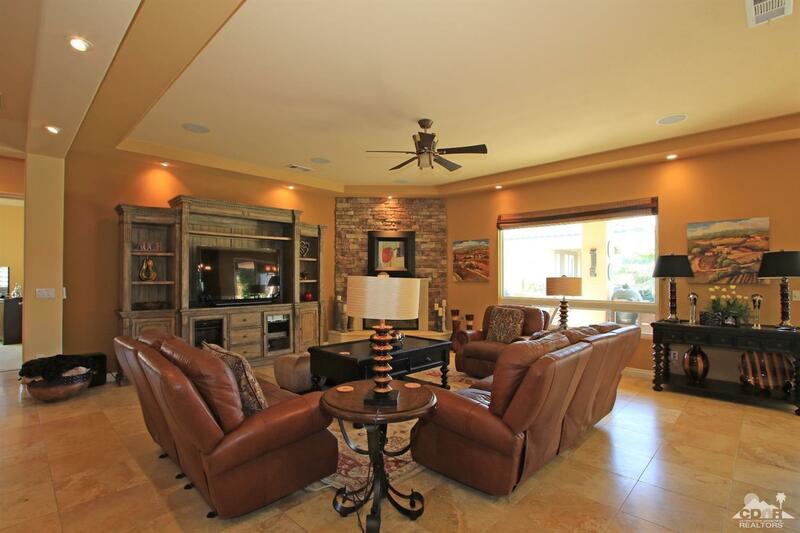 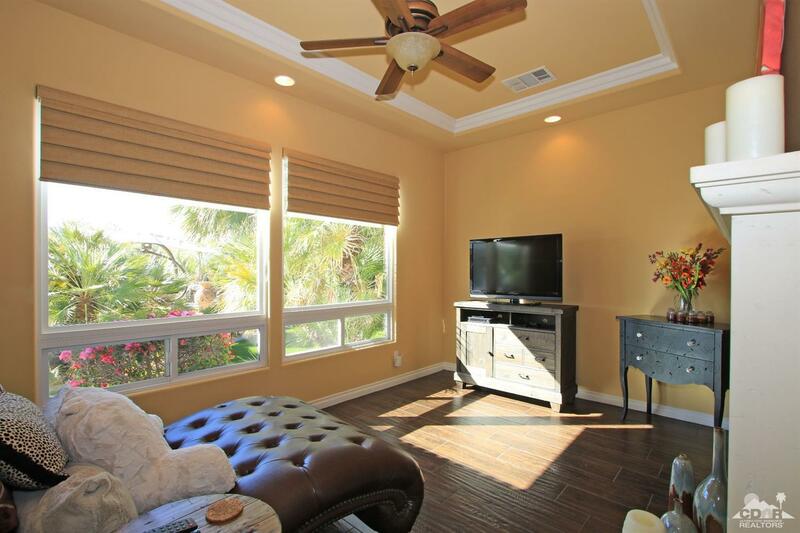 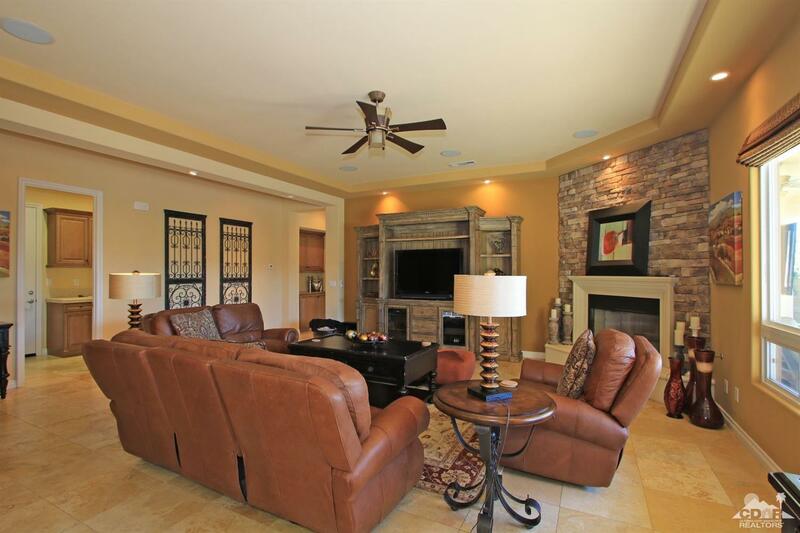 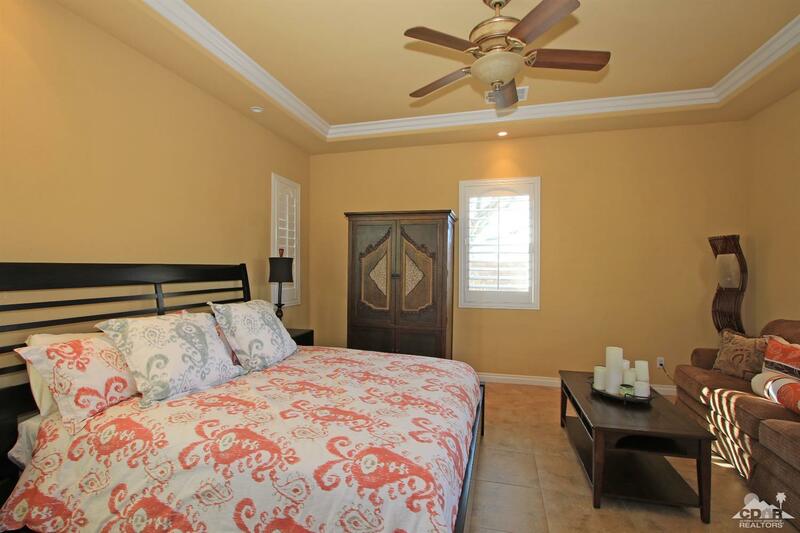 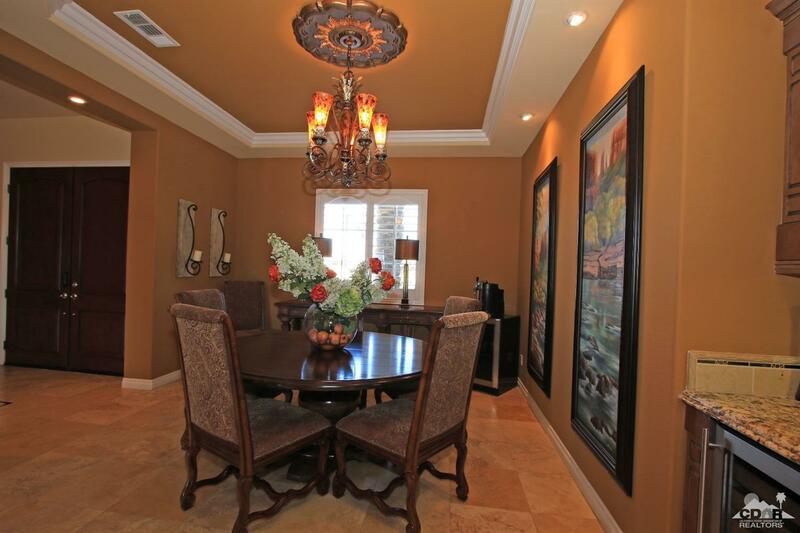 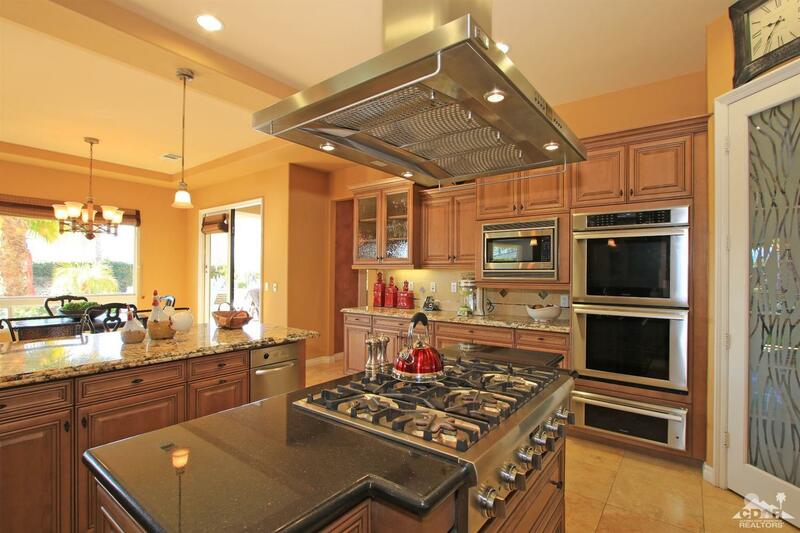 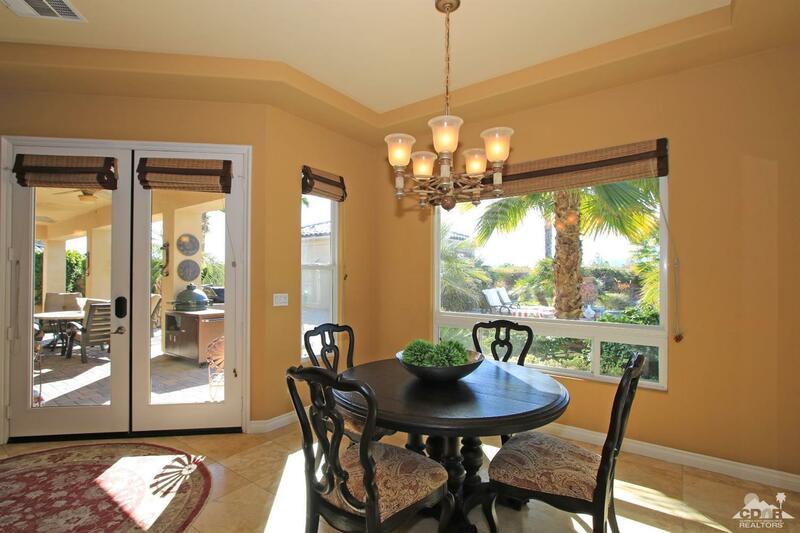 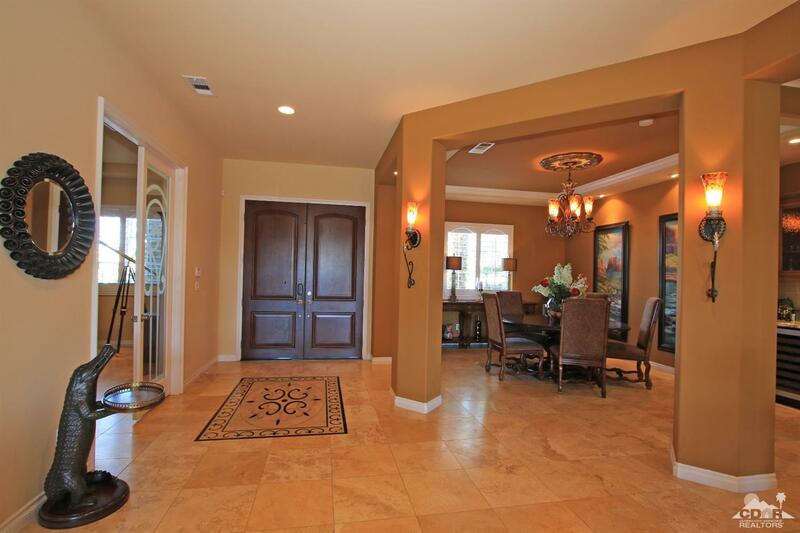 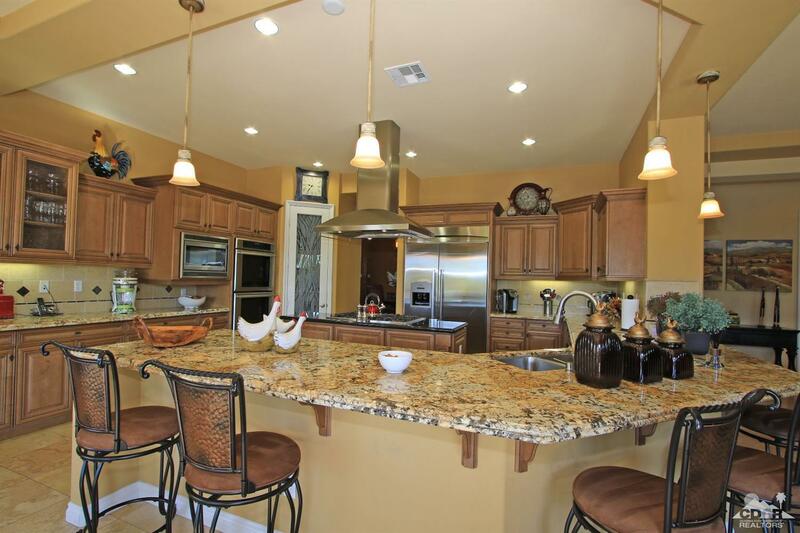 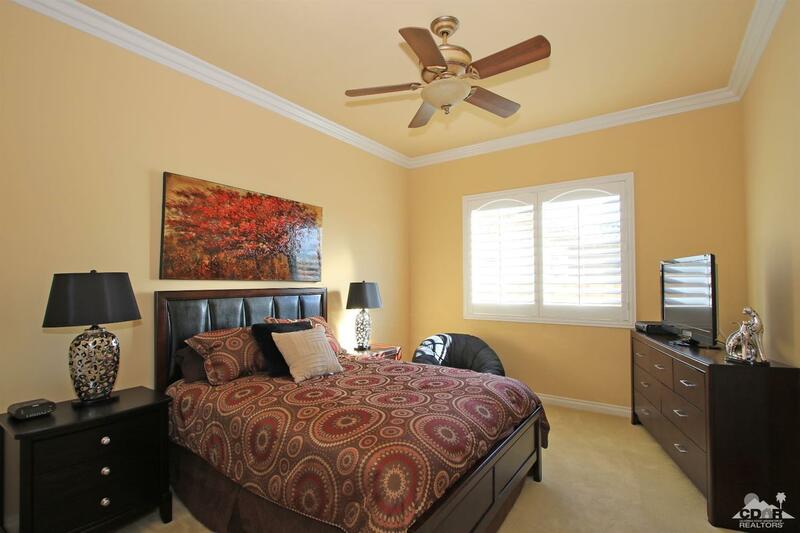 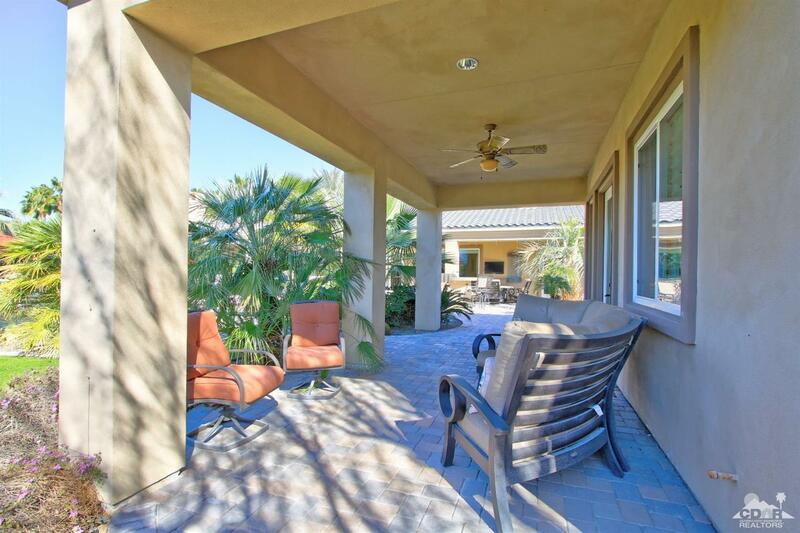 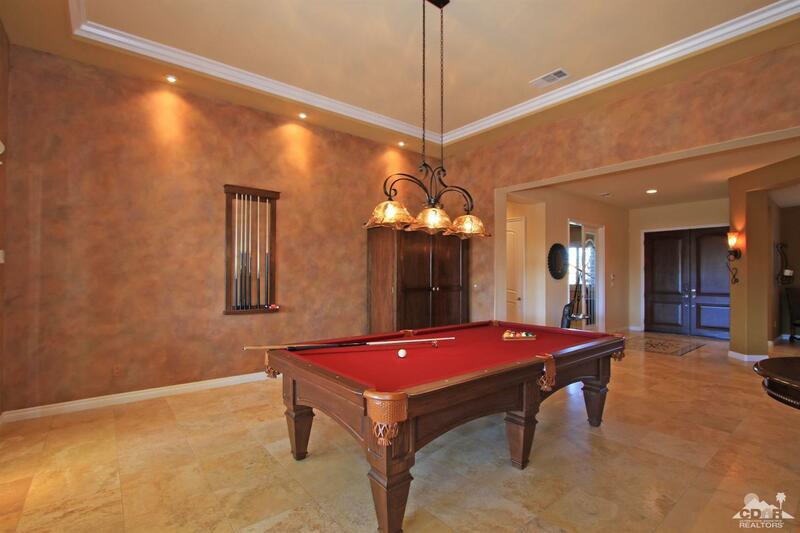 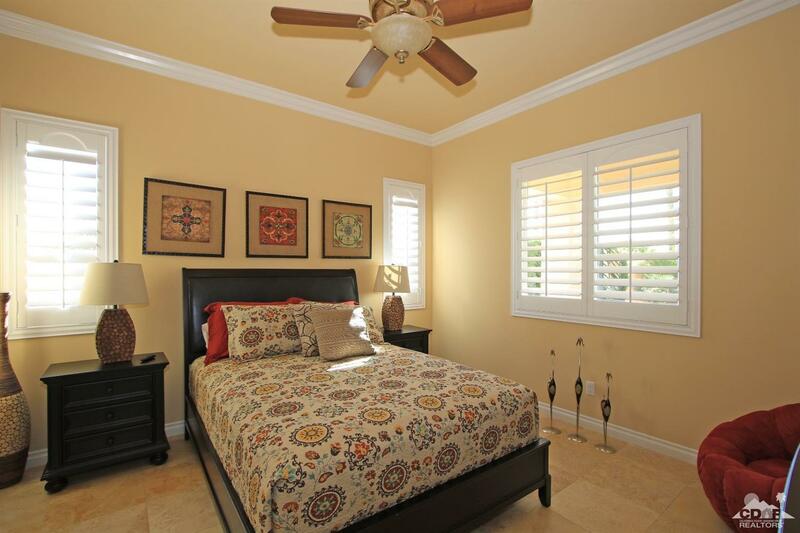 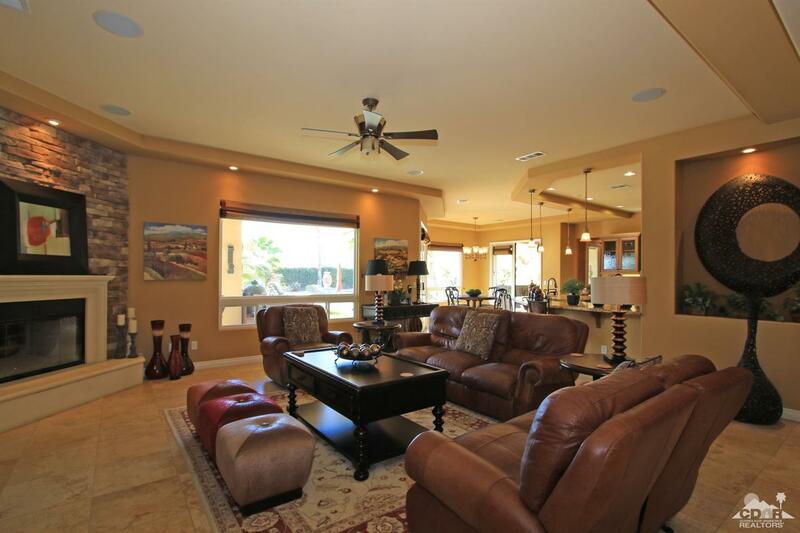 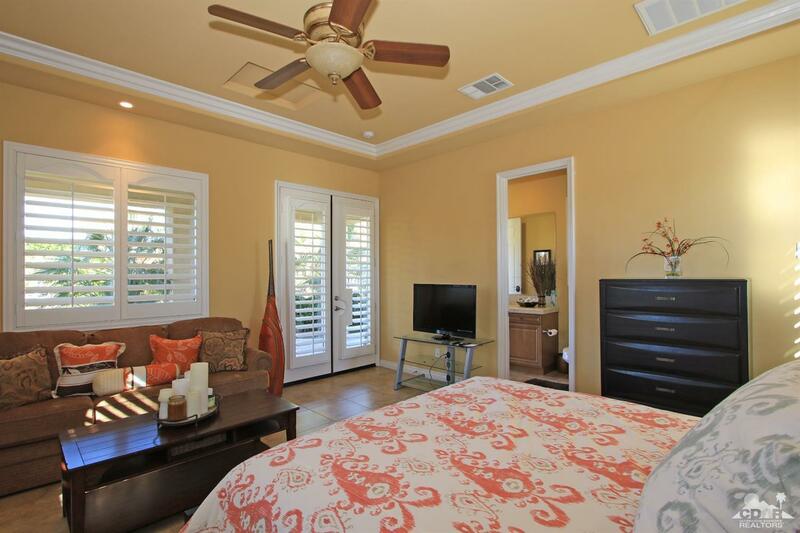 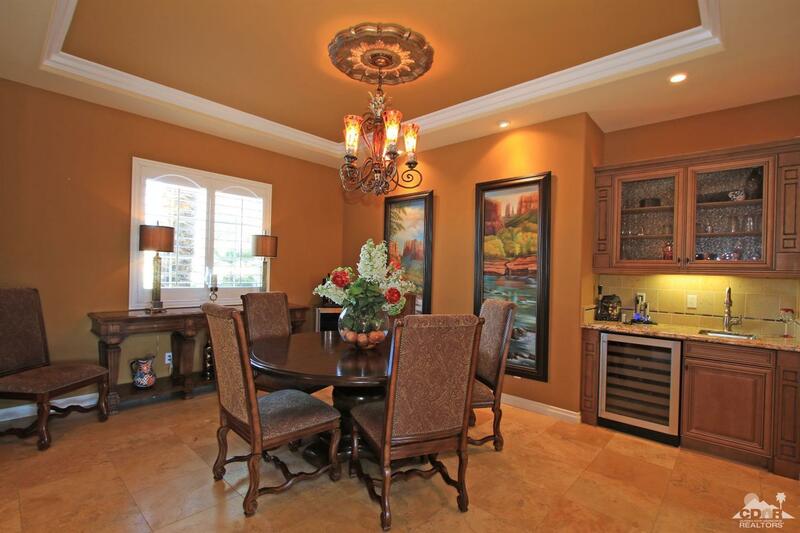 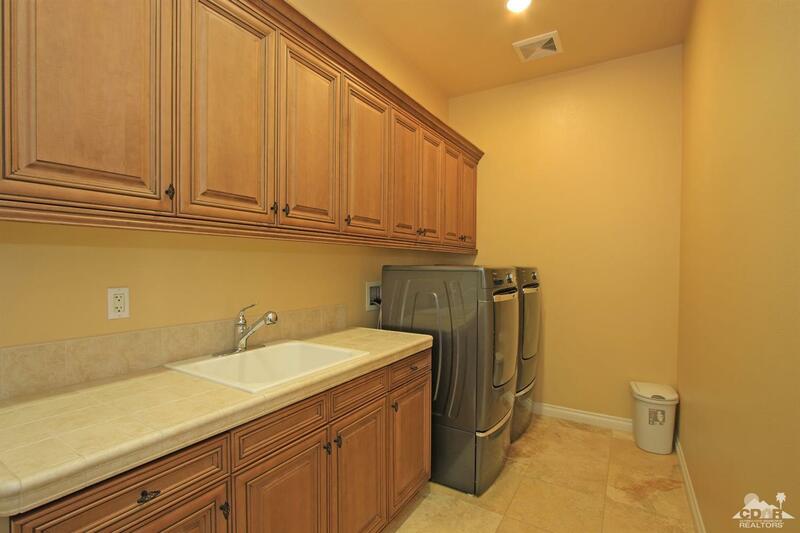 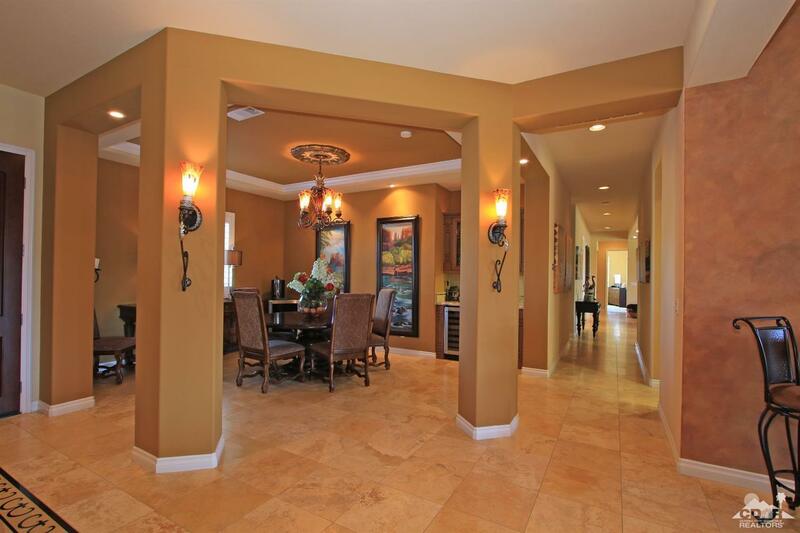 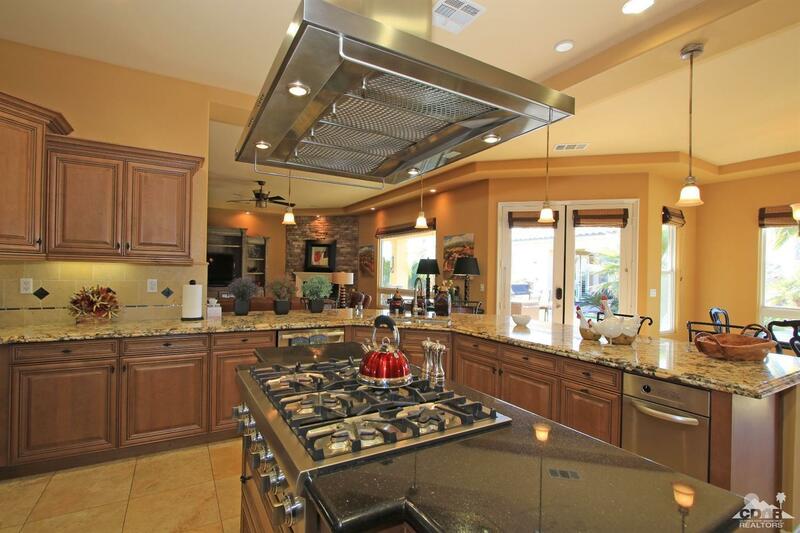 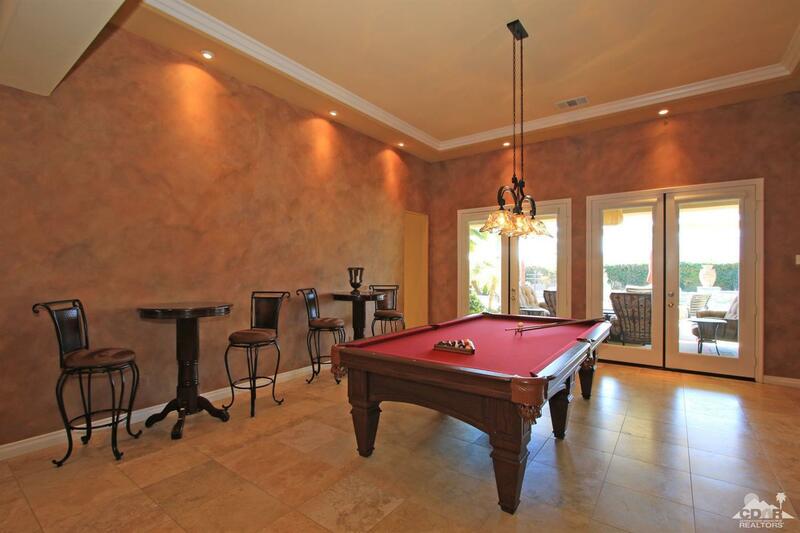 Master suite has upgraded porcelain flooring, retreat with fireplace, his & hers closets and stunning mountain views. 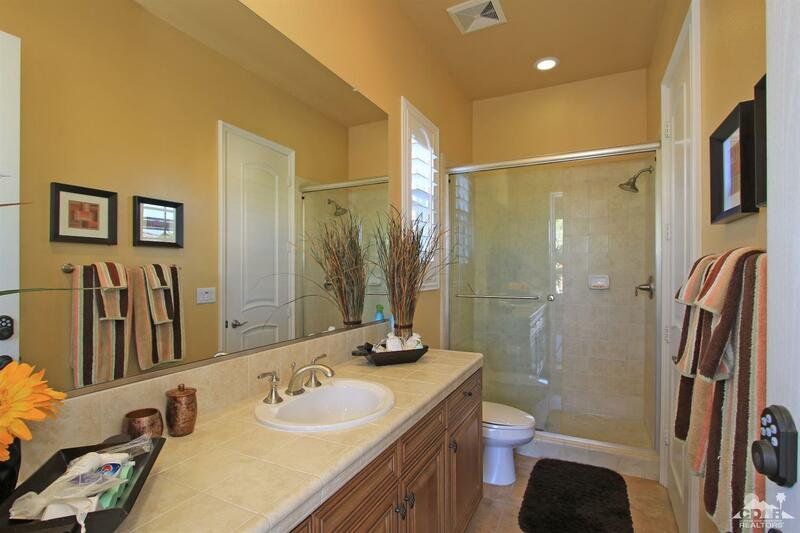 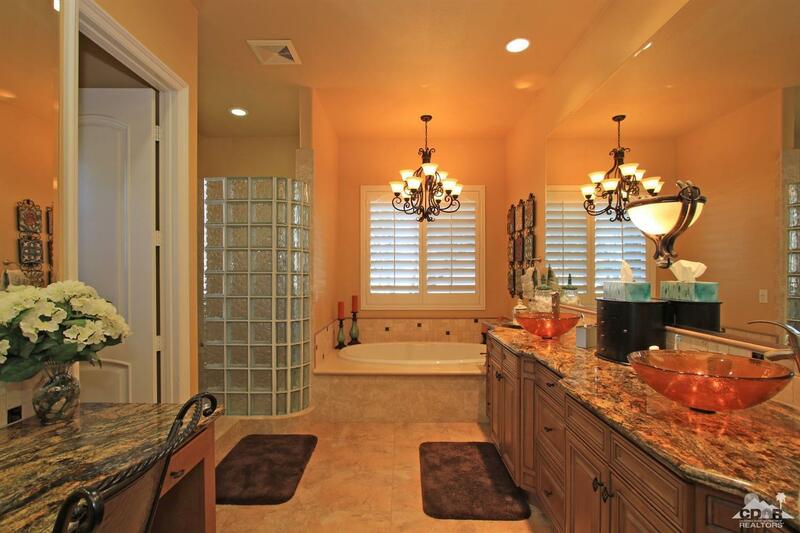 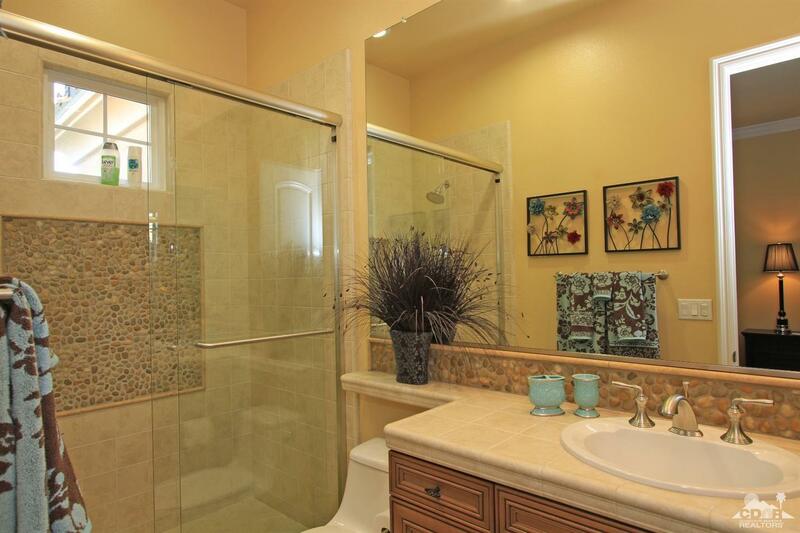 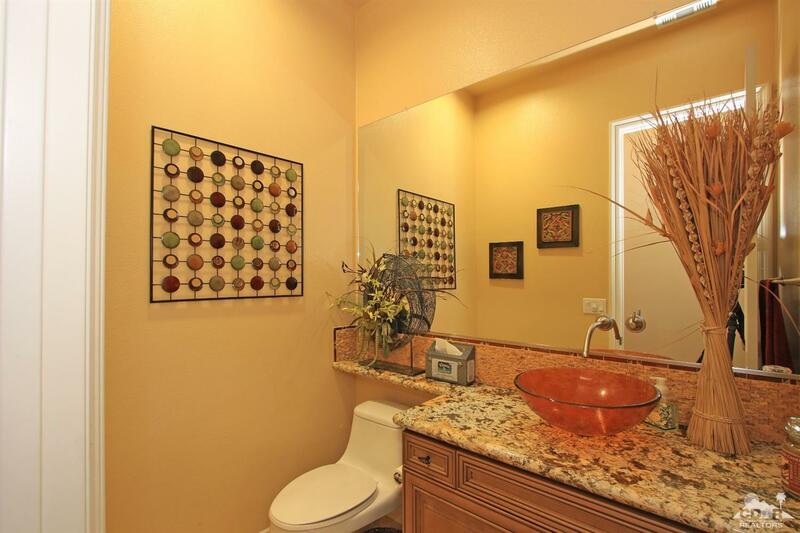 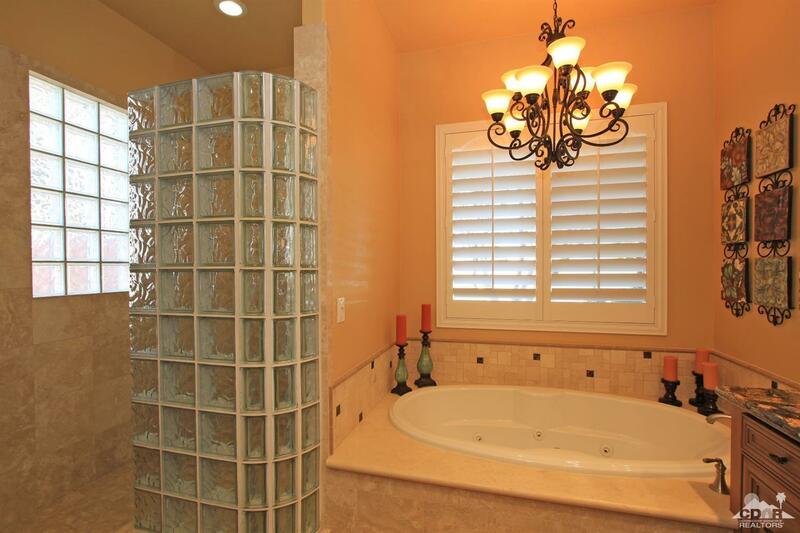 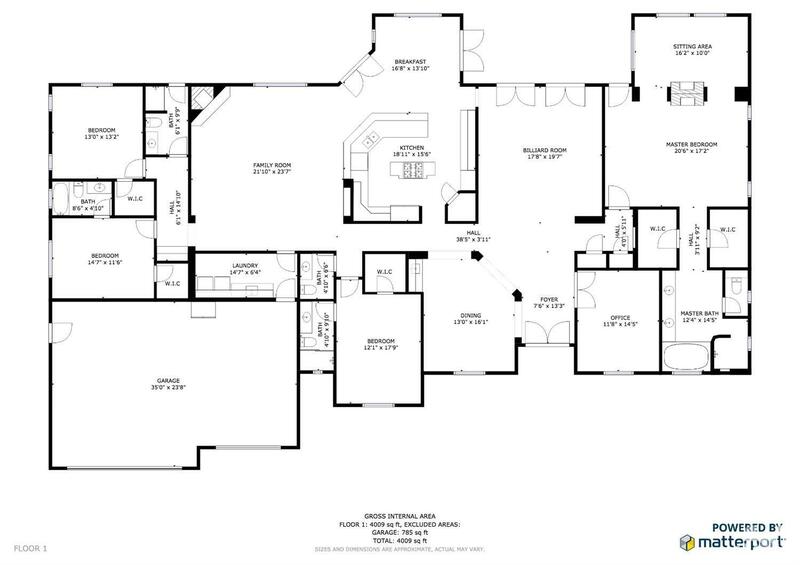 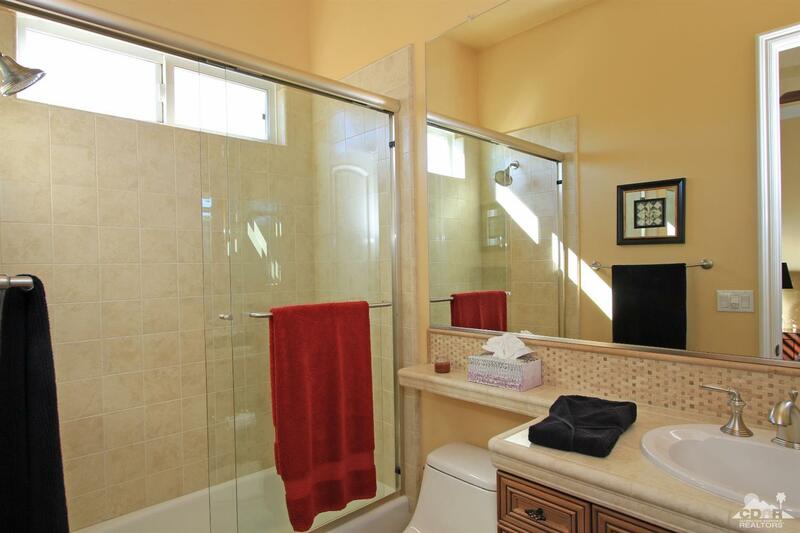 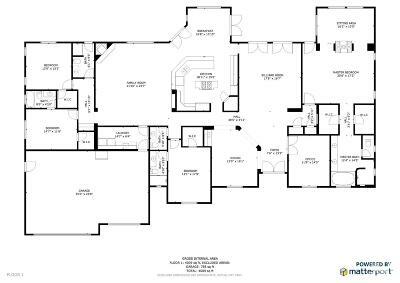 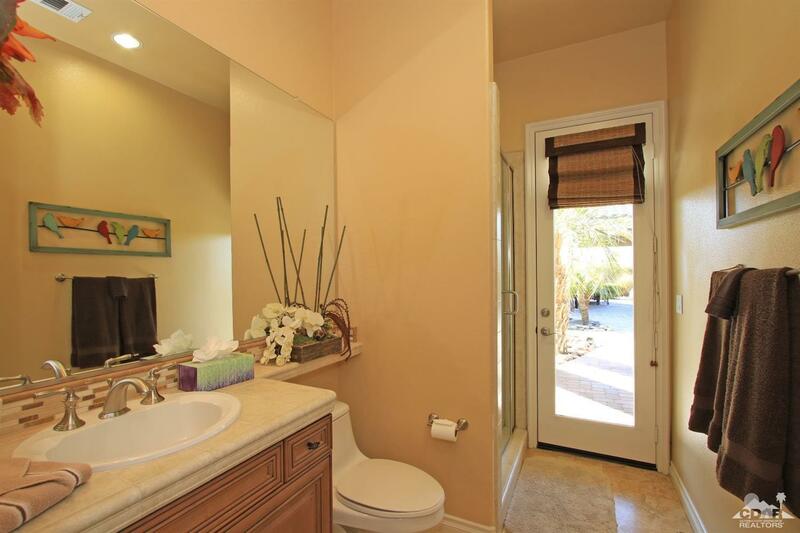 Beautiful master bath with jetted tub, oversized walk-in shower and dual vanities. 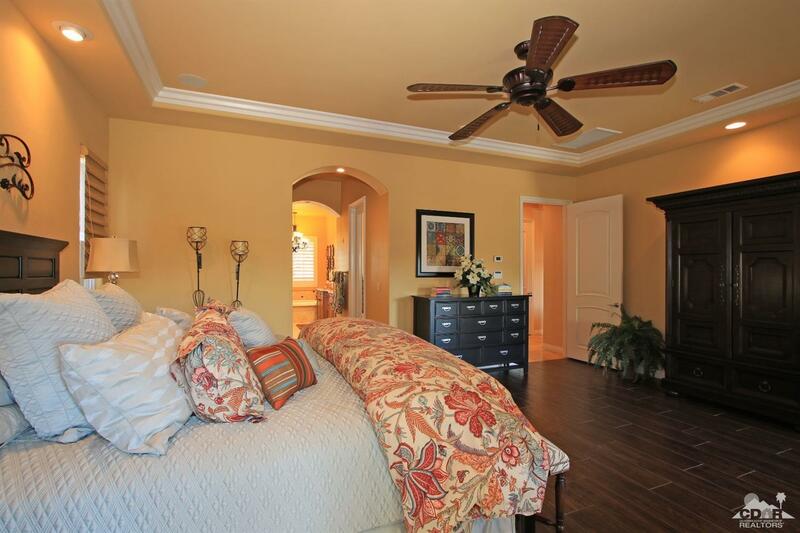 Each bedroom with its own HVAC zone. 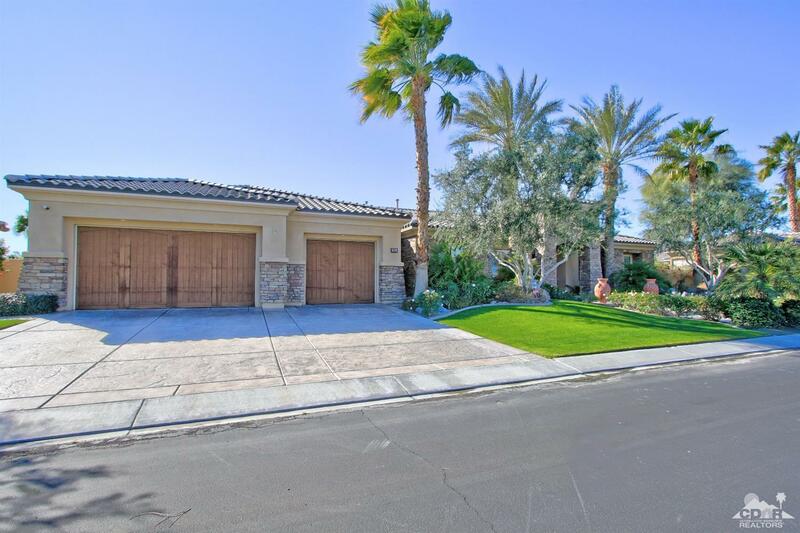 Three car oversized garage is air conditioned. 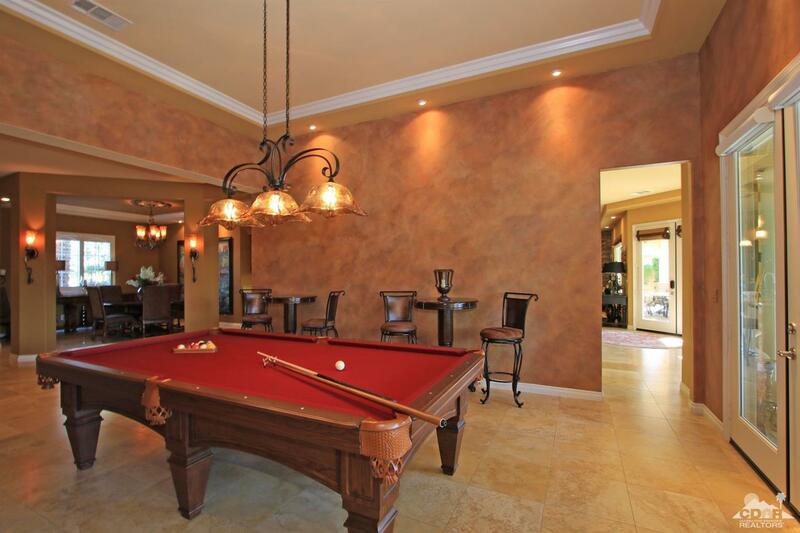 An absolute beauty!